The comedic late-night talkshow hosts also said they felt undervalued by the network during their tenure. 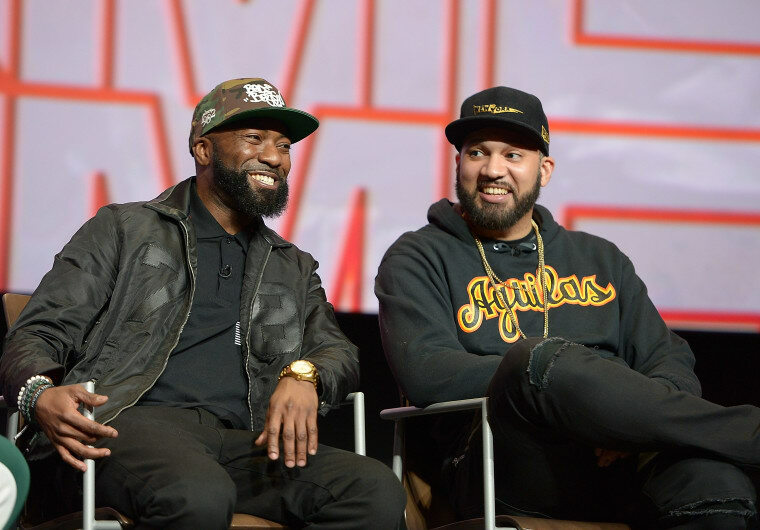 Desus Nice and The Kid Mero recently announced they will be leaving their talk show Desus and Mero at Viceland and will be launching a new weekly show at Showtime. In a new interview with Bossip, the pair shared that VICELAND took their show off the air with two months of their contract remaining, allegedly over some bitter feelings. "Vice has us for 2 more months….We did not leave Vice, Vice ended our contract. They were in their feelings because we were leaving,” said Desus. The two also shared sentiments of under-appreciation from VICE, claiming that the network wanted them to do 160 shows a year. "Viceland wanted 160 episodes a year...We have no writers, it’s literally me and Mero talking to one another every day. If you want us to do this for 160 episodes, pay us 160 million dollars—otherwise we would have killed each other,” Desus shared. Read the full report via Bossip here.